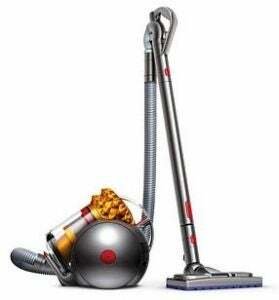 When you think of vacuums, Dyson might spring to mind: the company has long been a pioneer in revolutionising the vacuum space with its cordless designs. But with some Dyson vacuums normally priced at $999, Black Friday sales might just be the perfect time to clean up a bargain. To make way for new models, David Jones is offering a few hefty bargains in this space, although it always pays to shop around for the best deal before you buy. Read on to find out which Dyson vacuums are on sale at David Jones this Black Friday. 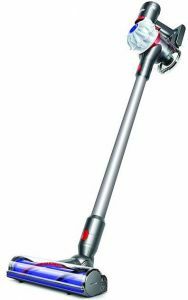 Cord-free and designed for all floor types, this Dyson V8 is its second most powerful cord-free stick vacuum cleaner after its latest V10 model. It offers up to 40 minutes of suction time, or 25 minutes with its motorised floor tool. In addition, it features fifteen cycles claimed to increase airflow and capture fine dust. According to Dyson, this handstick vac design passes air through a HEPA filter before being released from the vacuum to ensure no allergens escape. Before the release of Dyson’s new V10 vacuum, the V8 retailed for $999; but as you can see, the price is getting lower and lower. Just before the V8 was born, V7 was all the talk. It offers a modest 30 minutes of battery life, and converts to a handheld vac for quick clean ups (similar to Dyson’s newer models, so you’re not missing out on much). It’s also equipped with a max power mode, stated to provide up to six minutes of higher suction for difficult tasks. 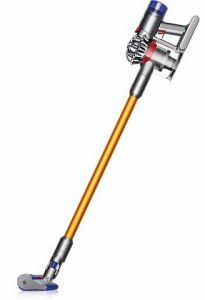 The Dyson V7 weighs in at 2.32kg, and comes with a crevice tool and combination tool, plus a direct drive cleaner head. For those with pets, Dyson’s Cinetic Big Ball Animal Pro vacuum might be one to consider. It features Dyson’s iconic ball technology – stated to navigate easily around furniture and obstacles – and its self-righting system allows it to get back up when toppled. With this model you’ll also find a swivel hard floor tool, mini tangle-free turbine tool, reach-under tool, carbon fibre soft dusting brush, and stubborn dirt brush for all different types of messes. Best of all, the Animal Pro uses Dyson Cinetic science to prevent loss of suction, which means there’s no filters that need to be washed or replaced. 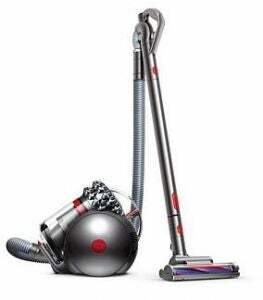 The last vacuum in our line-up is Dyson’s Cinetic Big Ball Multi Floor vacuum cleaner. Expect almost all the same features that the Animal Pro offers, with one main difference: the Animal Pro targets pet hair, while the Multi Floor is ideal for different floor types. So, instead of a turbine floor tool, this model comes with a Quick Release Musclehead floor tool stated to automatically adjust across carpets and hard floors. There are plenty of bargains to be had this Black Friday, but make sure you get in quick – you may be left disappointed if stocks run out. 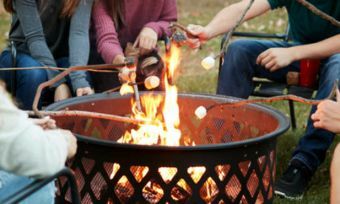 Black Friday deals don’t end there – Kogan is also cutting prices on gadgets, televisions, headphones, and much, much more. Plus, Black Friday means you can save hundreds on Dyson fans, Miele dishwashers, and assorted appliances if you know where to shop.